← Can Corporate Mobile Payments be the Driver for Merchant Mobile Payment Acceptance? 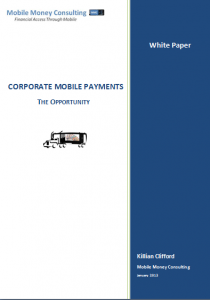 This entry was posted in Corporate Payments, Merchant Payments, Mobile Payments and tagged Corporate Payments, Mobile Payments, White Paper. Bookmark the permalink.